The parents of these guys saw this, and were very disappointed and said it brought great dishonor to the family. I wasn’t disappointed. If you’re not caught up, you can watch the video here. 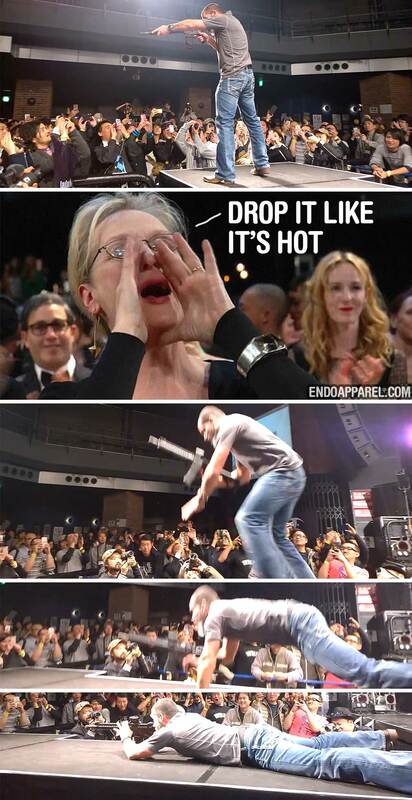 LOL so amazing. 1:38 – “I probably should be wearing some safety glasses” <– famous last words. haha then *safety squints* flash-overlaid in the video. Just when I think the comments on gun related videos are bad, all I have to do is check out an airsoft related video like this one and my head explodes from all the stupidity. Milsim brah. Well at least these guys look like they are having fun. I really wouldn’t want to be one of those guys taking one to the bare skin on the face. 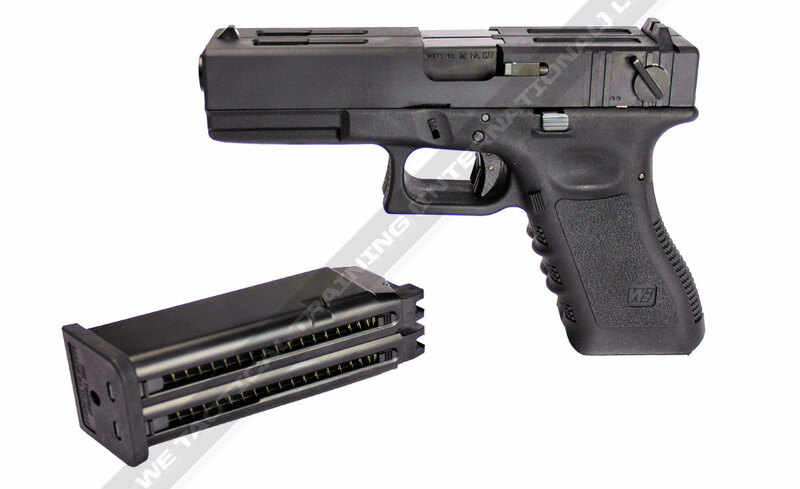 Oh man… if Glock made this for real I literally could not even. Sure the Double 1911 is neat, but it’s not a Glock. Someone made an actual double Glock, which is pretty legit because it’s chest mounted and you can fire it like you’re flying and holding sideways gangster style. This airsoft side-by-side configuration is definitely more practical. Thoughts? Do you think Glock will ever expand their business plan to include ridiculous stuff like this just for shits and giggles? I hope at least my dude Gaston orders around the R&D department to create things like this for his own personal collection. If you’re looking to purchase one of these Airsoft guns, you can head over to WE Tactical Training International. The pistols are available in the standard looking black slide, a chrome version, and in compensated and non compensated versions (LOL haha like that matters when you’re throwing light as air plastic BBs down-basement). Also, the site says “Available on Sale Now!” but in typical internet fashion there’s no way to actually see the price on one and god forbid actually give these guys money and have them send you one. *smh* I’m surprised but also not surprised this continues to happen. The real deal AA-12 doesn’t appear to have much more recoil than the airsoft version. That post I linked was from April 2011, a time when I apparently first posted about FPS Russia, and was already irritated by his accent. Evidently it has been an emotional rollercoaster of me changing my mind about a lot of people and their videos over the years haha. 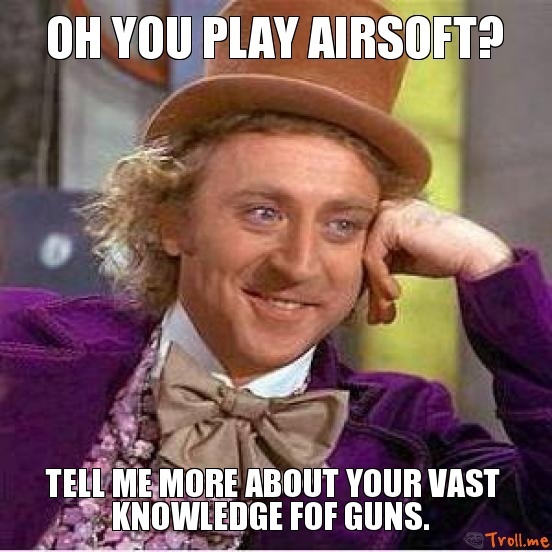 I’ve changed my mind about airsoft a lot over the years too, now I’m just at the point where I’m like “If people are having fun doing it, then why not? Just don’t pretend you’re a real firearms expert because you have a similar looking gun that shoots plastic BBs. Redwolf Airsoft is the plug. They’ve got it for only $400, which actually is about 10x less expensive than I thought it would be. Normally I see the prices on airsoft and can’t believe how close in cost it is to the real thing.